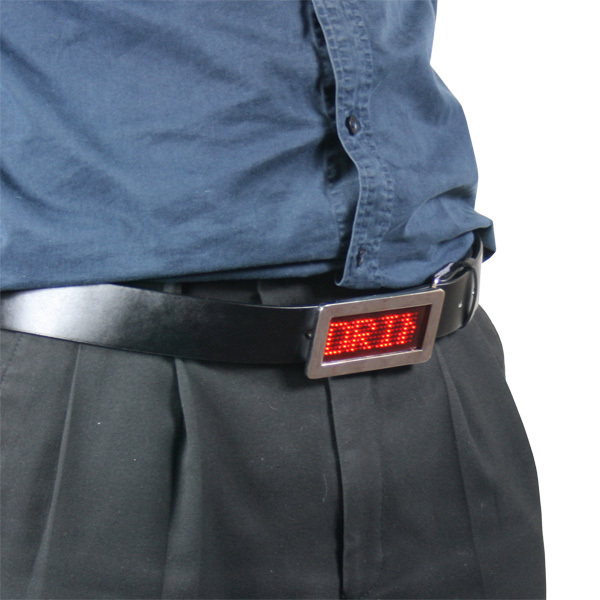 Stand out from the crowd and always get your message across with the LED belt buckle. 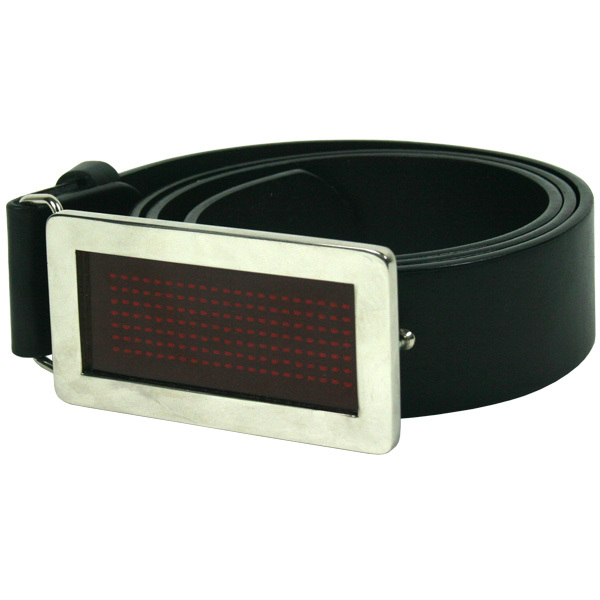 With the ability to store 6 messages you can be sure that you will draw some attention. The first message can store 512 characters and second to sixth can store 256 characters. 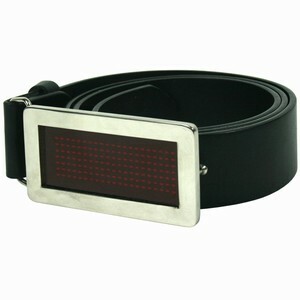 You can also control the speed and brightness of the LEDs. Batteries are included.